Are you ready for a high tech and high result facial? 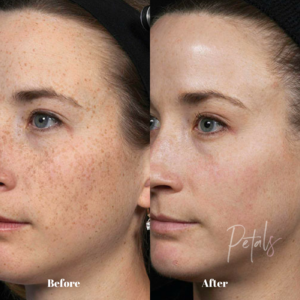 IPL Photofacials (aka fotofacials) are the not-so-new-craze that boats a long list of positive results that are both immediate and long-term. Here are all the answers to all the questions you have about the Photofacial. Why is it called a Photofacial? FIRST OF ALL, it’s an IPL Photofacial and the IPL stands for “Intense Pulsed Light”. The name comes from the bright flashing light of the laser. It looks, and kind of sounds like someone is taking photos of you on an old-timey camera. Maybe we should rename it the paparazzi facial! What’s the difference between IPL and Laser Facial? The IPL is not actually considered a laser, just a very intense light source. It works on a wider range of wavelengths which means it can treat more than one condition at a time. It uses filters to remove unwanted wavelengths that are not necessary for your specific skin concern. This is why it’s super important to also have a consultation before your treatment. 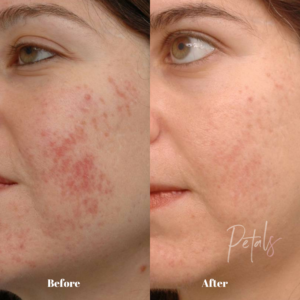 Spas like Petals Laser in NYC offer complimentary consultations with any treatment done at their facility. Like the IPL, a laser facial also boasts amazing results, but only addresses one skin issue at a time because it works on a single wavelength. Does the IPL facial hurt? How soon can I see results from my IPL Facial? After your first treatment! Your face may be a little red and blotchy at first (especially me, with pretty sensitive skin). The next day I woke up and went to work without makeup because THAT’S how amazing my skin looked and made me feel! My skin was tighter, my pores were basically non-existent, and I was glowing! God, this facial was amazing. Even though I saw near immediate results, my technician informed me that in order to maintain long-term results, most clients need to receive the treatment anywhere between 2 and 8 times. That being said- everyone’s skin is different, with different needs, and different plans of action. Although my skin is sensitive, it’s generally clear other than an occasional pimple or breakout. Someone with more difficult skin issues will likely need more treatments than I do. 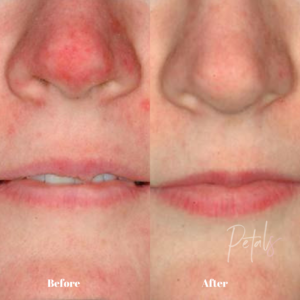 Like I said, immediately after the treatment, your face might be a little bit red and blotchy. Your technician should provide you with a calming gel to apply immediately after and before you go to bed. If you choose to wash your face (AS YOU SHOULD WHY IS THIS EVEN A QUESTION). Use cool water without any soap or face wash and pat dry with a cotton towel. Drink a lot of water to help facilitate the facial (again- why is this even a question?!) and apply the gel given to you by your technician.